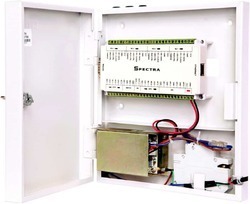 Spectra’s TwinXs 2C is a highly accurate two door access controller suitable for every business vertical. Its super powerful design and simple mechanism make it a favorite among clients. It is easy to install, use and maintain. Its ability to simultaneously control and monitor two doors, allows it to be a cost-efficient alternative for our customers. It is a must-have for areas such as server rooms and research labs, to name just a few. 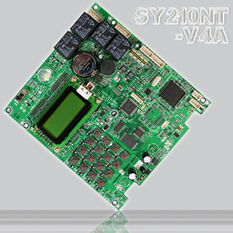 2 Doors Access Controller (PCB) offered features presence of built-in anti-tamper protection/buzzer support as well as has advanced programmable functions that allows for maximized control for different levels. The product also comes with support of multiple proximity, biometrics, keypad, smart card and others. Some of its features include backed by versatile software support that allows for wide range of functions, allows connection with external backup power supply for emergency purposes, suitable for off-line or on-line use, comes with external programmable interface, alarm support for long time door open and illegal break in, multi-card open door and others. Built-in Anti-Tamper protection / Buzzer. Advanced programmable functions for different level within groups to maximize management control. Support multiple proximity, keypad, biometrics, smart card and RS485 / Wiegand reader. Versatile software features support wide range functions. Capability of connecting external backup power supply for emergency. Can be off-line use or on-line use.